or choose not to and look forward to the sting of future face palms because you didn't. 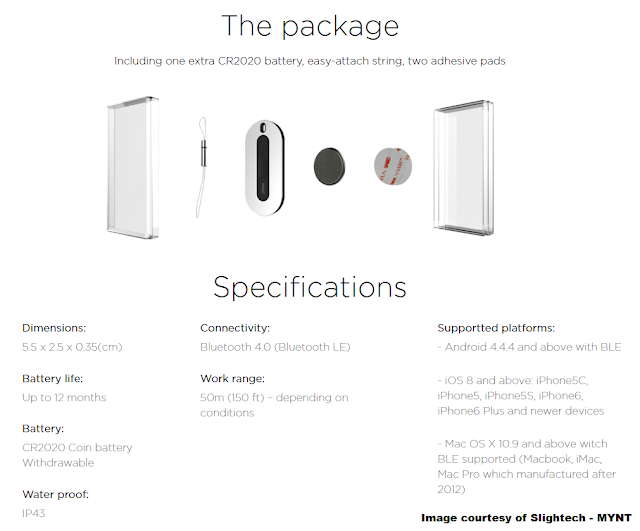 Disclosure: I received product from Slightech - MYNT for the purposes of this post and review. All opinions are my own and reflect my personal experience with the brand and product. I may not be an expert on technology, but I'm pretty good at figuring out how to use various technologies to work for me, and as tools for life. 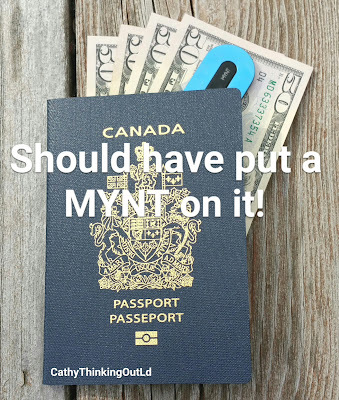 That's exactly why I was interested in the MYNT tracker. 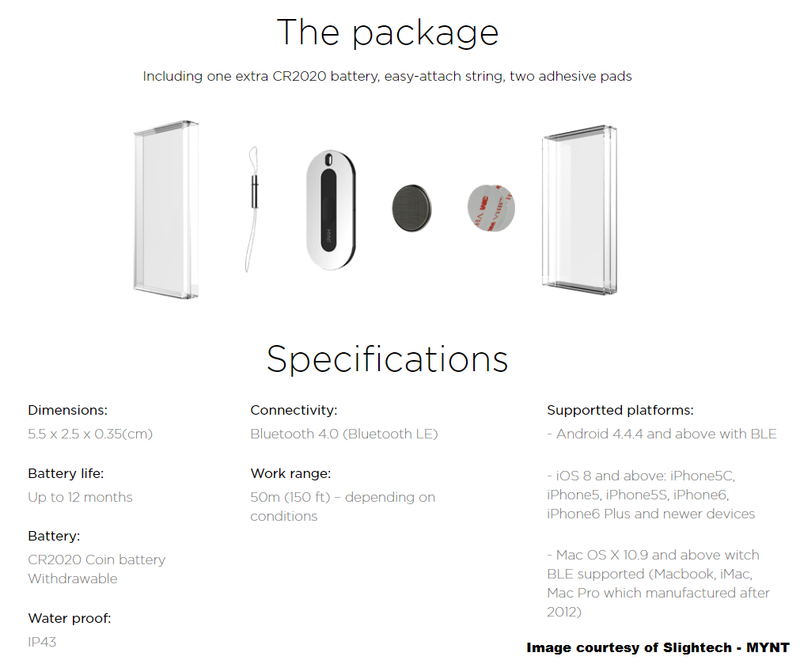 However if you're the techie-type you can get all the specs on the Slightech site. 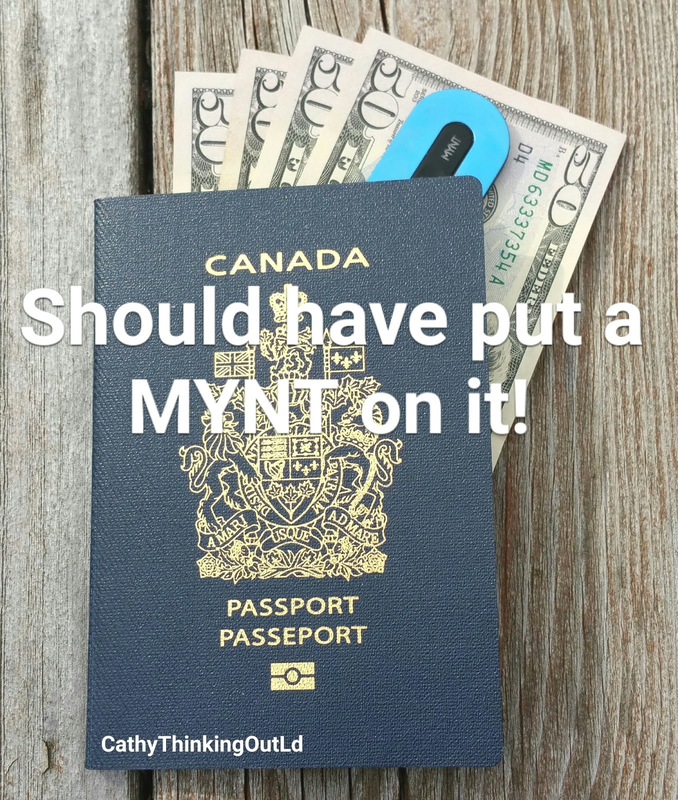 The MYNT in combination with the free MYNT app is a multi-function Bluetooth tracker and item locator, that puts an end to questions like "Where is my _____? It could be your keys, phone, wallet, purse, camera, designer sunglasses, or some other item you value. And since you can pair up to 8 MYNTs to a single device, you'll be able to track all the "things" important to you. No need to give up style for function. 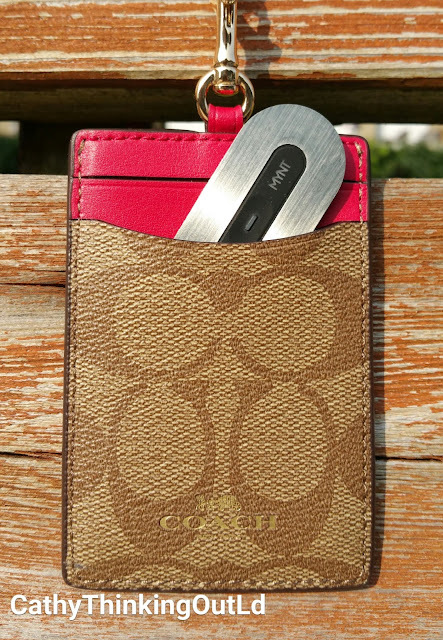 The award winning design comes in 4 colour options (blue, black, gold, silver) and is small enough to fit in your wallet, adhered to a remote or phone using the adhesive pads provided, or you can use the key-ring lanyard to attach it to your keys. 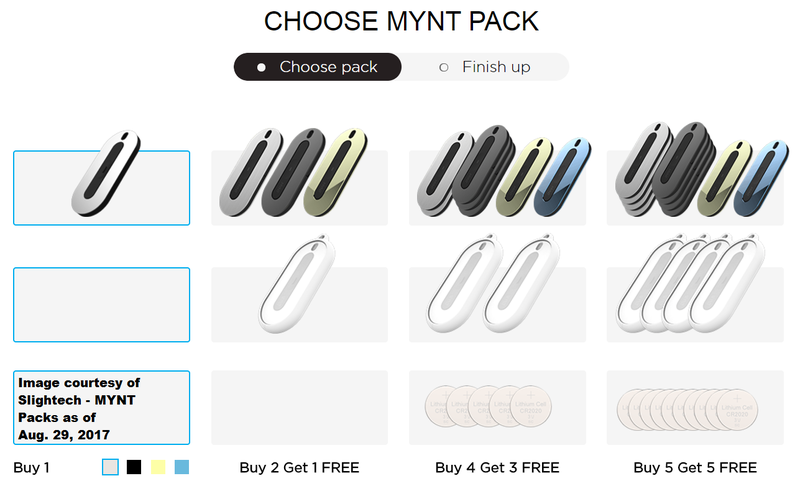 Included with the MYNT Package: 1 spare battery, 2 adhesive pads, and a key-ring lanyard. The price point is great starting as low as $19.99 US for a single MYNT. Or purchase one the various multi-pack options for additional savings, and free waterproof sleeve. You have your MYNT, so now what? Remove the tab separating the battery from the MYNT. Pair your MYNT to your phone, and start tracking. Within the MYNT range (up to 50 meters) you can locate the item you have attached the tracker to by pressing the item icon on your phone. You can reverse track your phone but pressing the button on the MYNT. 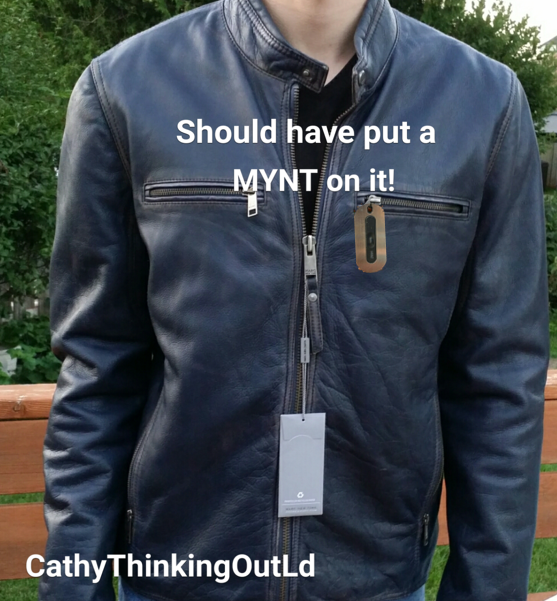 Even if your MYNT is out of range it can still help you locate your valuables. The app can give you the coordinates of the last location recorded, that will not only give you a place to start, but also significantly narrow the size of the search area. If your "Thing" goes beyond the preset distance range an audio notification/alarm will sound and alert you. The MYNT can be personalized for time, duration, and the distance range at which the alarm triggers. You have the option to set notification-free zones within set wi-fi areas, so that the entire office is not notified should you leave to use the restroom. This feature is also handy to ensure notifications do not wake your teething baby that has finally fallen asleep. The MYNT in-app map can help you to answer the age old question; "Where did I park the car?" by recording the location of your car, and later leading you back to that location. If your MYNT goes out of range, but others with the MYNT app are in range and connect with it, your app will send you notification of its last know location. Lastly, the MYNT is a programmable multi-tasker that can be can be used as a remote for your camera shutter, for your music, and even to forward the slides during a slide presentation. Remember the sting of the face palm? 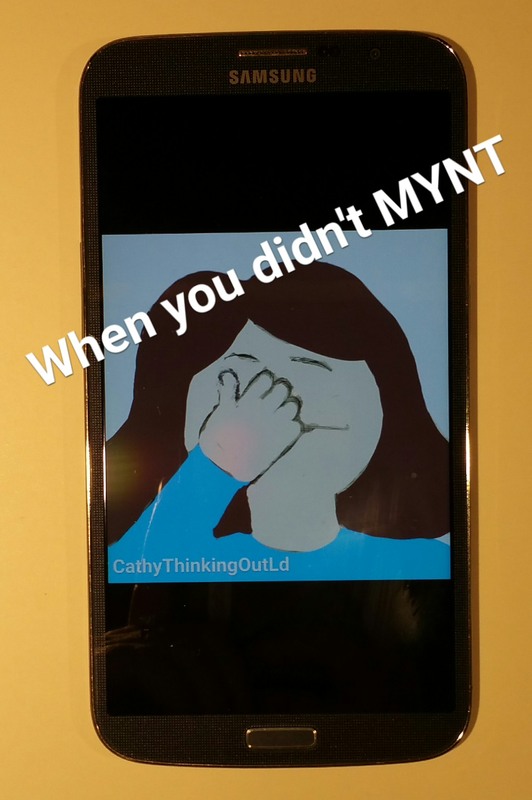 I could have avoided many a face palm over the years had the MYNT been available to me. But it's not just me, the same goes for my parents and my kids. One tracker, three generations, each using it in different ways to make life just a bit easier. I'll admit that both Thing 1 and I were happy to be able to personalize the separation notifications. An audio notification each time he left the room resulting in his phone being separated from his keys gets old pretty quickly. Being able to set the range distance for notifications at home or work is a great feature. The notifications we might find annoying now, would have been sanity-saving 20 years ago, when my two boys were toddlers. 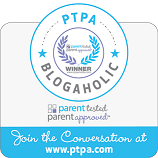 Notification when one of them had moved out of a preset area or zone would have been fantastic, and one more tool in my parenting tool box. 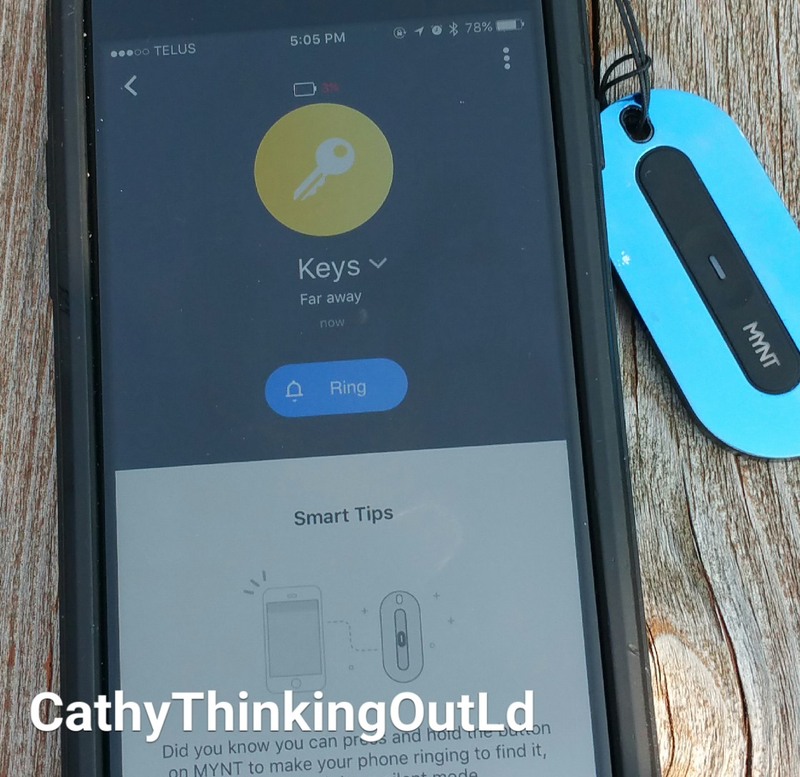 For my sister, who has 2 kids, a pool in the backyard, a cottage and a new puppy, a couple of MYNT trackers can help give her some peace of mind, by adding another layer of safety into the chaos of everyday life and parenting. The Public Restroom Dilemma: Your boys are too old to go with you into the women's restroom, but too young to go into the men's restroom on their own. I know for a fact I am not alone when I tell stories about looking more than a little unhinged while standing outside the men's public restroom yelling through the door at my kids. Definitely awkward for both me and the men trying to actually use the restroom. Having a two-way audio signal can help to eliminate that awkward public restroom dilemma. Same goes for change rooms dilemmas. 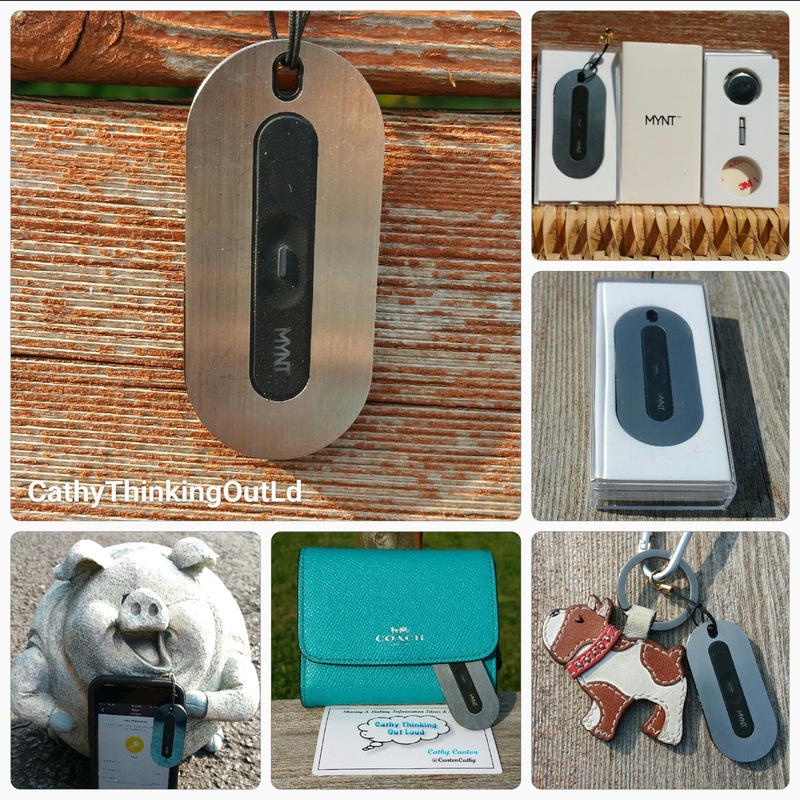 MYNT trackers are handy tools when the kids are in the yard playing, at the park, a splash pad, or pool, theme park, and at the mall or shopping. IDEA: add a MYNT to the storage pouch of your child's asthma puffer, medication, or Epipen. In Spain when he forgot the $100 charging cord to his MacBook Pro at the hotel. In the Madrid airport when he accidentally left his MacBook Pro under his chair, only realizing as he went to board his flight. Luckily his laptop had been turned in. Not so lucky was that fact he had to go to a separate terminal and back through security to retrieve the laptop. As a result he missed his flight from Madrid to Philadelphia, and the his connecting flight from Philadelphia to Ottawa. This could have been avoided with a MYNT tracker. When his $100 backpack with his $100 calculator was stolen while in the University restroom the night before his Calculus exam. And of course he needed the calculator for that exam. When his $700 leather jacket went missing from a club mandatory coat check. Not only would it have helped to locate it when staff couldn't, the MYNT community might have been able to help locate it after the club staff gave it to the wrong person. When I forgot my purse with all of our passports, my wallet with all my credit cards, driver's licence, and $1000 US cash in a McD's in Savanna Georgia, but only realized it in Jacksonville Florida. 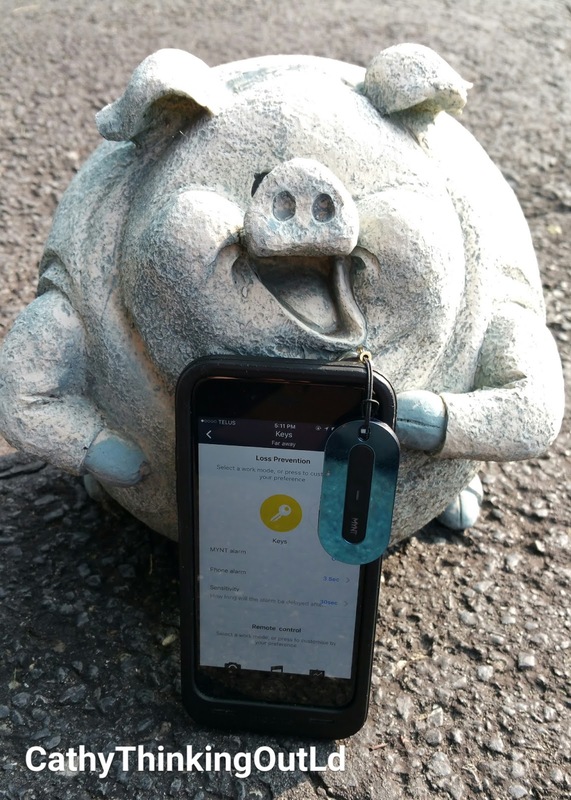 An alarm/notification that my purse and I had been separated beyond the set distance would have saved a great deal of time, stress and frustration. When my snowbird parents were 2 hours into their 2400 km drive of a 3-month trip before they realized my father had forgot his wallet. When my mother-in-law is at a cash paying for purchases and her sister who suffers from some dementia wanders off. With a MYNT she would not only be notified of her sister moving beyond a preset distance, but it could also help to locate her. The result is reduced stress during outings, increasing her sister's safety, and a happier experience for both of them. By helping to reduce frustration, stress, and cost of replacing misplaced, lost, forgotten or stolen items, it increases one's happiness and overall feeling of well-being. I love the design and having colour options. I liked how easy it was to set up and use. I like the price point and having multi-pack options. I like that I can track both the MYNT and my phone. I like that I can link up to 8 MYNT trackers to my phone. I like that I can use it to find my car. The one change I would make to the MYNT tracker is having the ability to adjust the volume. 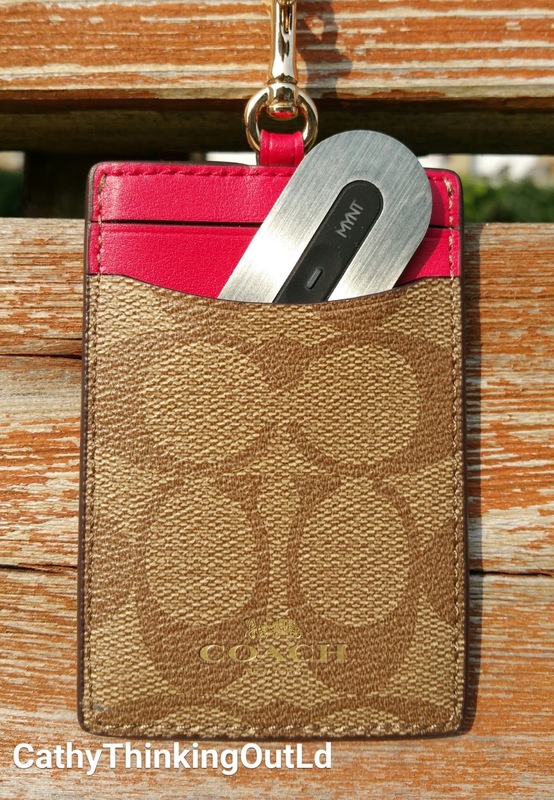 It would increase its function and value if the notifications volume could be adjusted louder in crowded environments, or when in a purse, under a couch cushion, or in Thing 1's bedroom, or adjust down or put into silent mode in situations such as during a meeting, sleeping, or at the theatre. I would definitely recommend the MYNT tracker. In my opinion its functions and price point make it a worthwhile investment and a perfect gift for all ages.